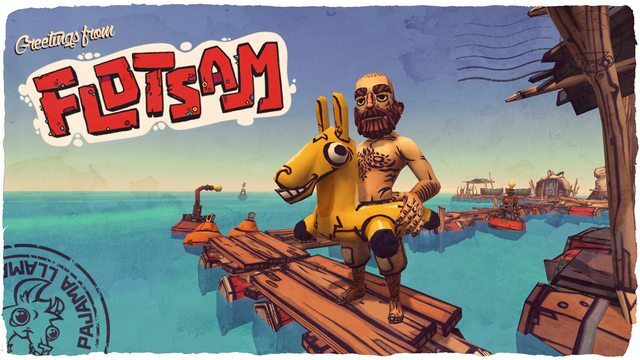 Flotsam, a survival-focused townbuilder in a flooded world is Pajama Llama’s first big project. In Flotsam you manage a small group of drifters that try to survive in a world without land. Your drifters will have to salvage floating or sunken flotsam for resources to build constructions with. If that isn’t hard enough they’ll also have to find ways to get fresh, drinkable water and food. This while your town floats around in harsh weather and in constant threat of sea animals. Flotsam intends to be a challenging game where you as a player build a connection with your drifters living in your town. 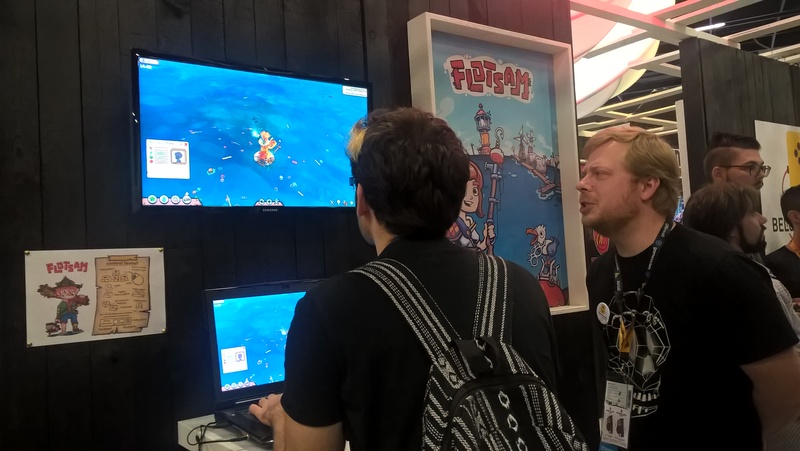 Flotsam is developed by Pajama Llama games who we had the chance to find at Gamescom 2017 and talk to about their game and its latest developments. 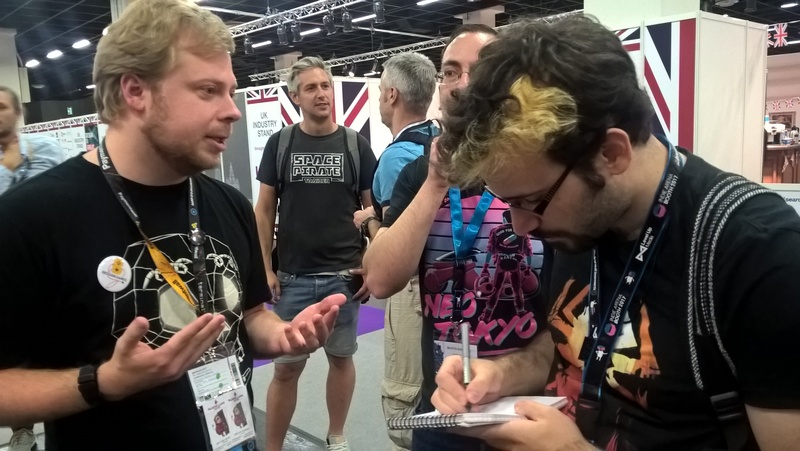 We found Dave van Verdegem at the Business Hall of Gamescom 2017 next to many other indie game developers and we had the chance to play Flotsam yet again, thus being able to see what has changed and what has been added. Last time we checked it out was at Indigo in Utrecht quite a few months ago. The studio behind the game is comprised of three people who all studied animation and that shows through the games stylized look. Dave explained that even though they made a lot of prototypes, they kept coming back to the flooded world idea and decided to eventually stick to it. “It is quite a unique idea and we really think people would love it for what it is,” explained Dave. It is also a genre that apparently everyone in the team loved. The idea of recycling garbage from the sea to keep building your floatable base definitely sounds awesome and Dave continued to explain that despite how serious the game can sound, the team is bent on making everything be as child-friendly as possible since they love things looking like old-school cartoon. There is of course a lot of “serious moments” in the game, but nonetheless, the vibrant and pretty coloured characters will always lighten up the mood of the game. “We believe the game is quite unique mostly because of the fact that you are constantly moving with your entire base, unlike many other games of its kind,” said Dave, talking about how you can dig up stuff from flooded places and use it to keep building up. There is currently no release date scheduled for Flotsam, since the company is looking for additional investment before they can go full-time on development and then release. More info about Flotsam can be found in the game’s website and Pajama Llama’s Facebook page.